A murder defendant in Tennessee wanted to introduce testimony from a crime scene reconstruction expert to corroborate his testimony that the murders were committed by other individuals. The trial judge excluded that testimony. In a recent decision, the Tennessee Supreme Court reversed the conviction on the ground that the defendant should have been allowed to present the expert testimony. Joshua Hunter Bargery was charged in Lake County, Tennessee with two counts of felony murder and two counts of “especially aggravated robbery.” The victims were a 70-year-old man and his 68-year-old wife. Relatives who had last seen the victims alive at about 9:30 p.m. on March 3, 2011 discovered their bodies on the morning of March 4. An autopsy determined that the victims had been stabbed to death. The victims were not dressed for bed and their beds had not been disturbed. Witnesses testified that the victims usually went to bed between 9:30 p.m. and 10:30 p.m.
A sheriff’s deputy testified that the home had been ransacked and that jewelry appeared to have been scattered across their bed. Police authorities were told that guns were missing from the house. They received a tip that Bargery was selling guns on March 4. Bargery was also trying to sell a camera and a laptop that were stolen from the victims’ home. A deputy found Bargery, searched his car, and found a knife that appeared to be stained with dried blood where the handle met the blade. He also found costume jewelry in the car’s trunk. The deputy arrested Bargery. Two forensic scientists employed by the Tennessee Bureau of Investigation processed the crime scene. They collected samples of blood stains from several areas in the house. Subsequent DNA testing indicated that the blood belonged to one or both victims. No other contributors were identified. Investigators found partial footprints left in blood at the crime scene. A TBI agent testified that the tread pattern on Bargery’s boots was “consistent with” three of the four bloody tread patterns found at the crime scene. Bargery’s boot or one like it therefore “could have” caused the imprint at the crime scene. However, a test of Bargery’s boots was negative for the presence of blood. One of the TBI experts testified that blood on the knife was consistent with a mixture of blood from the two victims, and that a small blood stain on Bargery’s sweatshirt matched the DNA of one of the victims. Bargery gave a statement after his arrest. He did not admit that he committed the murders, but he talked about being in a “dream-like state” and described crime scene details that the police claim not to have told him about. Those details, however, were public knowledge before Bargery was arrested. Prior to the murders, Bargery rented a cabin near a lake. Several prosecution and defense witnesses testified that the cabin had been occupied by a man of Hispanic origin. A housekeeper testified that two beds had been slept in. A defense witness also testified that a Hispanic male had been trying to find Bargery before Bargery rented the cabin. Three alibi witnesses testified that they were with Bargery until about 10:30 p.m. on March 3. Two more witnesses saw Bargery, in the company of his alibi witnesses, retrieve money from an ATM at 10:00 p.m.
Two witnesses testified that Bargery listened to conversations during the evening of March 4 concerning the murders. Those conversations could have supplied the details about the murders that Bargery later related to the police. All witnesses, including prosecution witnesses, testified that Bargery was a nonviolent, easygoing guy. The witnesses were in universal agreement that committing a murder was inconsistent with his past behavior and character. Bargery testified that he sometimes did favors for his marijuana dealer, Shondell Hill. One such favor involved driving to Memphis to pick up Joel Hernandez, Hill’s marijuana supplier, and bringing him to Lake County. In early March 2011, Bargery rented a cabin for Hernandez, who explained that he did not want the cabin to be in his own name. Bargery was paid for his time in marijuana. On March 3, Bargery quarreled with Hill because Hernandez wanted Bargery to play a larger role in their marijuana distribution scheme. Bargery felt he was in over his head and decided to end his relationship with Hill. Bargery spent the evening of March 3 smoking marijuana, taking Xanax, and hanging out with his friends. Bargery got home after 10:30 p.m. Hill called him at 11:42 p.m. Bargery met Hill and, at Hill’s insistence, they drove to the victims’ residence. Outside of the residence, Bargery saw “three Mexicans” holding knives standing next to a gold car. They forced Bargery to enter the home, where he saw a dead body. Hill grabbed a laptop and handed it to Bargery. Hill then told Bargery to gather the guns in the home and take them to his car. Hill placed a knife in Bargery’s glove compartment before they drove away. Bargery testified that he did not go to the police because the Hispanic men told him that he would be the next stabbing victim if he did not follow their orders. Hill told Bargery to sell the goods that were in his car. Bargery sold what he could and spent the rest of the day taking Xanax and smoking marijuana. He explained that he didn’t tell the police what happened because he was worried about his and his family’s safety. Hill partially corroborated Bargery’s testimony. Hill admitted that Hernandez was his marijuana supplier, that he had Bargery pick up Hernandez in Memphis, and that he had Bargery rent a cabin for Hernandez. Hill denied any involvement in or knowledge of the victims’ murders. Dennis Waller testified as an expert in police investigation. He described the ways in which TBI’s murder investigation was deficient, including its failure to create a crime scene log, to collect samples from all blood stains in the victims’ residence, to dust for fingerprints, and to process the cabin where Hernandez stayed for blood evidence. Waller also faulted the police for failing to record Bargery’s interview and for failing to ask him if he killed the victims. Dr. Richard Ofsche, an expert on police interrogation tactics, agreed that the interview of Bargery was incomplete and that Bargery’s statement was essentially worthless. Janice Johnson, an expert in crime scene investigation and blood spatter analysis, echoed Waller’s testimony and added that the police should have measured and photographed blood stains more carefully so that a blood spatter analysis could later be conducted. Dr. Alfanzo Valdez, an expert on street gangs, testified that Hernandez’ tattoos and prison record confirmed he was a member of the Mexikanemi gang, which specializes in home invasion robberies. Janice Johnson would have testified that, in her opinion, more than one perpetrator committed the murders. Given the number of stab wounds to each victim, their defensive wounds, and the absence of evidence of a struggle, Johnson thought it was likely that the two victims were attacked at the same time, a scenario that required the presence of more than one murderer at the scene. Johnson would have also testified that if one murderer acted alone, that person would have been exposed to a substantial amount of blood spatter. The fact that no significant amount of blood was found on Bargery supported her opinion that Bargery could not have acted alone to commit the murders. The trial court disallowed Johnson’s proposed testimony because it was outside Johnson’s area of expertise. 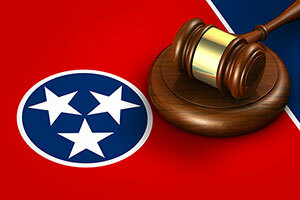 On appeal, the Tennessee Supreme Court disagreed. Johnson had worked with crime scene investigations and had conducted blood spatter analysis for law enforcement agencies before founding an agency that teaches FBI agents and other forensic evaluators to conduct those investigations. The court determined that she was qualified to give the proposed testimony. The court noted that crime scene reconstruction experts are routinely allowed to testify for the prosecution. The defense is equally entitled to use expert witnesses. Johnson’s testimony was based on her experience and was consistent with the evidence. The trial court therefore erred by excluding it. The case against Bargery hinged on whether the jury believed the prosecution’s theory that Bargery acted alone or Bargery’s testimony that the murders were committed by Hernandez and two others. The prosecution repeatedly emphasized that no evidence corroborated Bargery’s testimony that more than one perpetrator committed the murder. Johnson’s testimony would have provided that corroboration. If the jury had considered her testimony, it might have discounted the prosecution’s argument and acquitted Bargery. Since the improper exclusion of expert testimony may have affected the verdict, Bargery was entitled to a new trial.